Have you ever wondered how your cosmetic surgery practice compares to others? 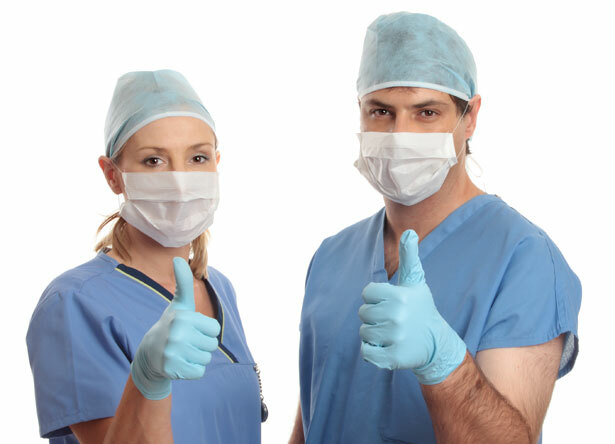 We have over 50 AdLuge users who are in the cosmetic surgery industry. With this data we decided to analyse average and total lead volume between January and March 2013; we put together this report that outlines the types of online leads your practice should expect, and have explained how these types of results can be obtained. We found some intriguing results! Results that can help you make decisions about your online campaigns, targeting and budget, allowing you to focus your spend on the customers you want to target. Please note: Large-scale and multi-location practices have been excluded from these metrics to provide a more relative and obtainable benchmark for the majority of cosmetic surgery practices. Between January and March 2013, The average number of online leads for a cosmetic surgery practice was 121. This includes all online sources: organic, direct, referral sites and paid campaigns such as Google Ads. The following chart demonstrates the total number of leads from each respective source for our cosmetic surgery clients within the three month period. Let’s examine each of these sources in more detail. Taking a look at the chart above suggests organic marketing or SEO (search engine optimization) maintains its spot as the most effective online method for cosmetic surgeons, providing an average of 46 leads per month. Granted, this is excluding some of our larger, more renowned clients with strong brand awareness. Including them in the metrics saw averages ranging closer to 90 leads per month from organic sources. Taking those larger clients away from the mix brings the average down to a metric that reflects the majority of our cosmetic surgeon clients. Over the three months we studied, organic search results were the most utilized method for capturing leads. This is not always the case. Clients with no organic ranking in search results can often see more immediate value in paid search advertising like Google Ads. Our clients average cost per lead from organic sources was as low as $38 in February; however, this moved back up to $42 in March. Google Ads is the most widely used paid search platform available. Google Ads allows your ads to be found conveniently at the top of search results on Google and are excellent for seeing immediate results (when done correctly). With a modest investment, it is possible to drive qualified leads to your website and start generating business immediately (vs. SEO which takes time)..
Over the three month period we examined, the average number of leads for our cosmetic surgery clients was 24 per month, representing about 20% of the total lead count average. The average cost per lead from this medium was approximately $140. This can vary tremendously, as some of our clients see a cost per lead from Google Ads under $100. Direct refers to visitors that land on your site by typing in your URL in their web browser. Direct can often be associated with offline marketing methods such as television, print, radio advertising and word of mouth; this can sometimes be one of the highest lead sources. In short, direct is often the largest indicator of brand awareness. Our largest subscribers were removed from these metrics for that very reason. From January to March, direct visits constituted 25% of all visits to our subscribers websites. Furthermore, they were responsible for an average of 34 leads per month for our cosmetic surgery clients. 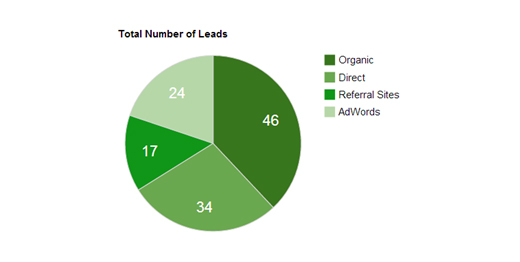 Referral represents a lead coming from another website other than your own. This could be a blog, directory, database or partnership with another website. Over the period of January to March, referrals were responsible for an average of 17 leads per cosmetic clinic and 7% of their total leads. Referrals should never be overlooked! Businesses should pay special attention to other websites that promote and direct traffic to theirs. The more, the better! Analyzing your campaigns with email, call tracking and traffic sourcing is vital to improving your practice’s online strategy. With AdLuge, all measurement and lead reporting is brought into a central management interface. With AdLuge measurement and reporting you get invaluable insight for a low monthly cost. AdLuge Marketing Intelligence gives you the data to refine your online marketing and lead generation efforts. Contact me directly if you have any questions or would like to chat! Or, feel free to request a free 30-day trial. Stay tuned for more industry reporting metrics from AdLuge Marketing Intelligence.